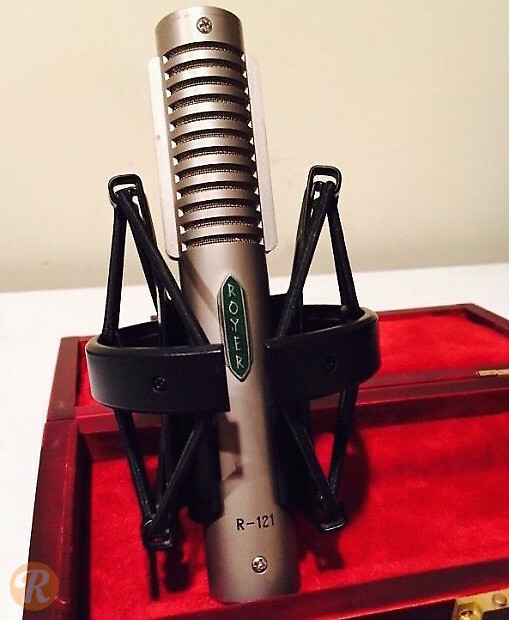 The Royer Labs R-121 is a rugged ribbon microphone, loosely inspired by the vintage Bang & Olufsen mics. Capable of withstanding higher SPL levels thanks to a proprietary offset ribbon, and with much higher average output level than the older mics, the R-121 is a standard for recording loud guitar amplifiers, brass, and drums. Not to be confused with the R-121 LIVE, which offers a thicker ribbon element more suitable to live sound/stage environments.